Vinyl dumbbells are a long time favorite for group and aerobic exercise classes. They are easy to clean, easy to grip, and can be taken just about anywhere you want to go. While usually containing a hard metal core, they are more like soft dumbbells in terms of comfort and feel. 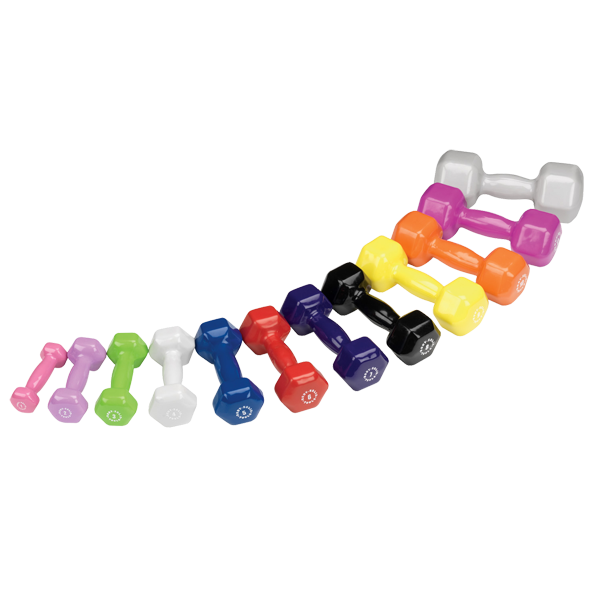 Vinyl dumbbells generally come in weight ranges of 1 to 15lbs. 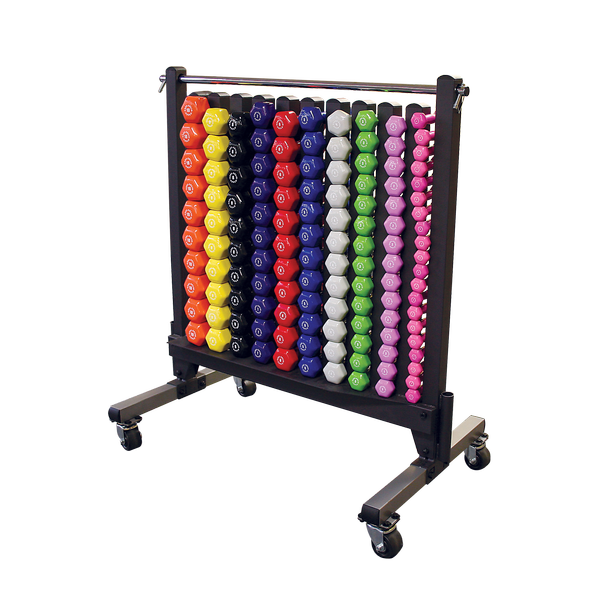 Each weight is color coded, which makes it easy to identify the proper weight for your exercise needs. 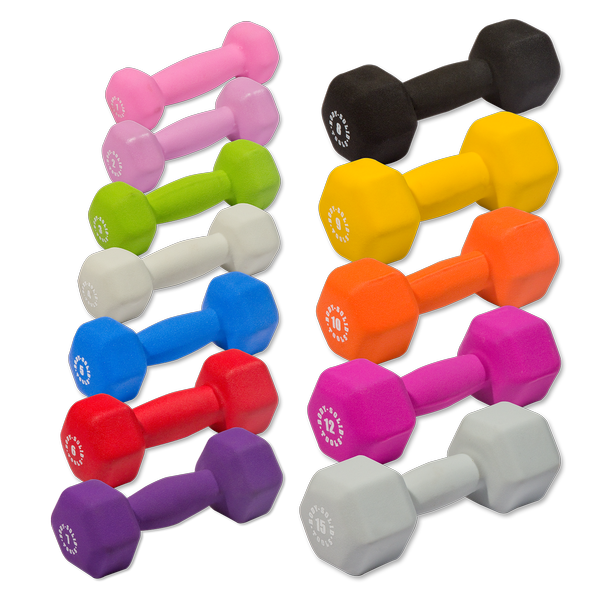 Vinyl dumbbells are a great companion to your stability ball or cardiovascular equipment. Grab a pair and take your exercise routine to the next level.